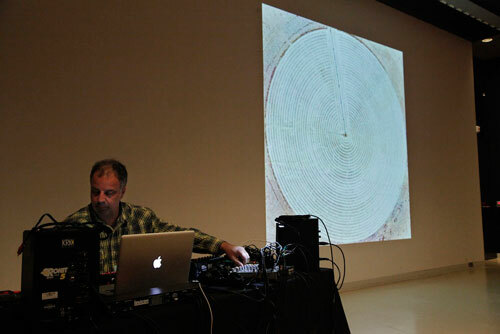 Michel Banabila, sound composer for Gerco de Ruijter’s CROPS, performs an ambient music set. He’s produced musical scores for numerous films, documentaries, video art, theatre plays and choreographies. Visit the artist’s website for more information at www.banabila.com. Listen to some of Banabila’s work on bandcamp and SoundCloud, also visit his YouTube Channel to view his work.